After countless chats, catch ups and finding Jacquie to give her and Aimee the tickets I’d snagged for her (huge thank you to Rachel is due for those, so thank you!) we headed toward the venue to join the sizeable queue already snaking up Talbot Street. 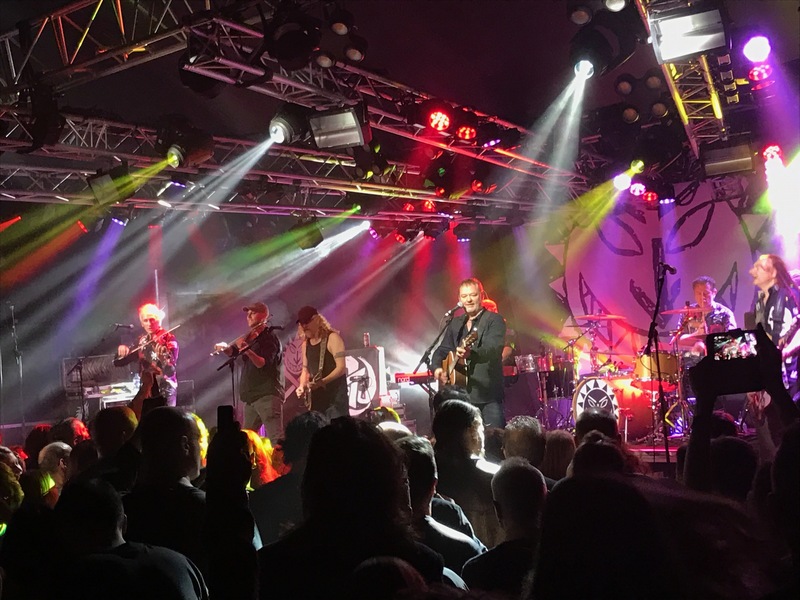 Once in we found the stand Framework had set up for foodbank donations to pop some tins with them – I’m really pleased (but not surprised) Levellers and Rock City were up for this again – by all accounts it was another impressive haul of stuff that will really help folk. 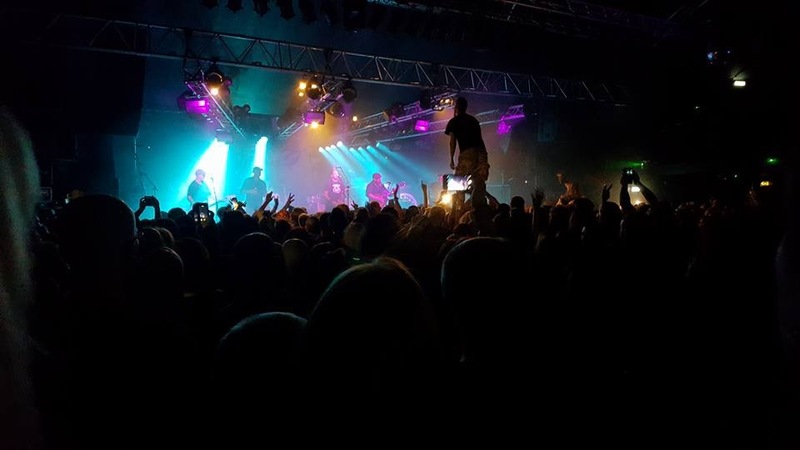 Then it was off up the stairs into the main hall – we popped up to the balcony to see my rock and roll folks, Rock City deserve some brownie points on that score, letting them in early to snag a seat on the balcony. Soon enough though it was time to find a place nestled amongst the masses downstairs ready for the show to start. Already folk were staking their claims for places on the railings or in what would be the eye of the moshpit storm. We found ourselves a spot further back near the bar to the right of the venue. 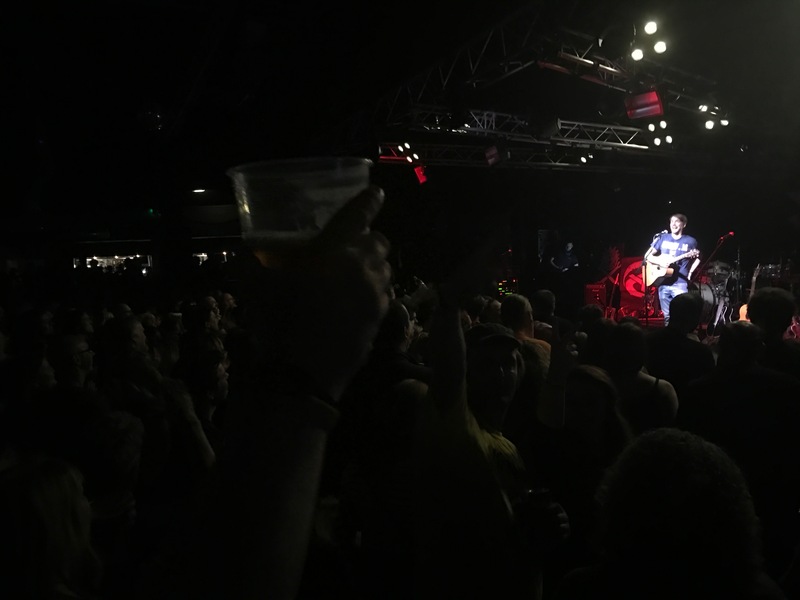 The place was really rather full by the time Gaz Brookfield took the stage – to rapturous applause. I love to see that, with only half an hour to play with he launched into Diabetes Blues and despite hundreds of willing singer-alongerers had a slip on lyrical recall, he dealt with it coolly and calmly though and was soon back on track. It made me realise it’s been a while since I’ve seen Gaz play (actually, it’s not that long since Bostin’ 2!) – this time on the first stage I ever encountered him around four years ago too. He’s so bloody good. Ozzy was next and then straight into Godless Man (no mentions of atheistic fruit, haha). Then the increasingly familiar new track of I Know My Place, title track from his very soon to be sent out new album which I’m champing at the bit to hear having heard very positive things from my mate Mark (of My Mate Mark by Brian Stone fame, no less!). With time winding down all too quickly Land Pirates Life kicked into Let The East Winds Blow and then Bigger Man (or maybe the other way around for those two). The crowd participation parts for Let The East Winds Blow were well underway before the prompting – Gaz always looks so delighted when the crowd do it, and they always do lately, haha! The finale for him was Thin, again with the build up to the crowd participation section which had already been happening throughout the song. 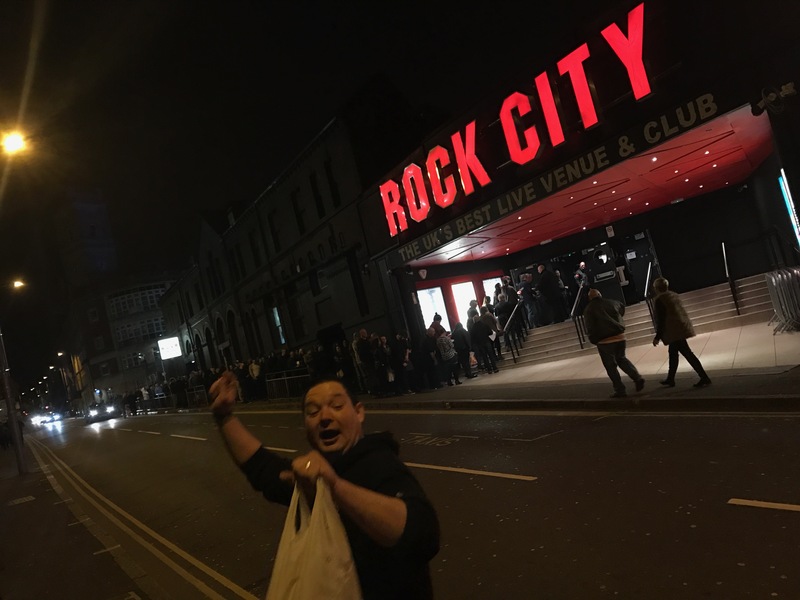 It was a great set – too short, of course, but then I’d merrily listen to any of the acts on offer this evening for much longer than Rock City would be prepared to open! I must get my diary organised for next year and find some of his gigs to get to. Before Ferocious Dog hit the stage there was time to extricate layers of clothing, glasses, jewellery and other breakables for Ella to look after. 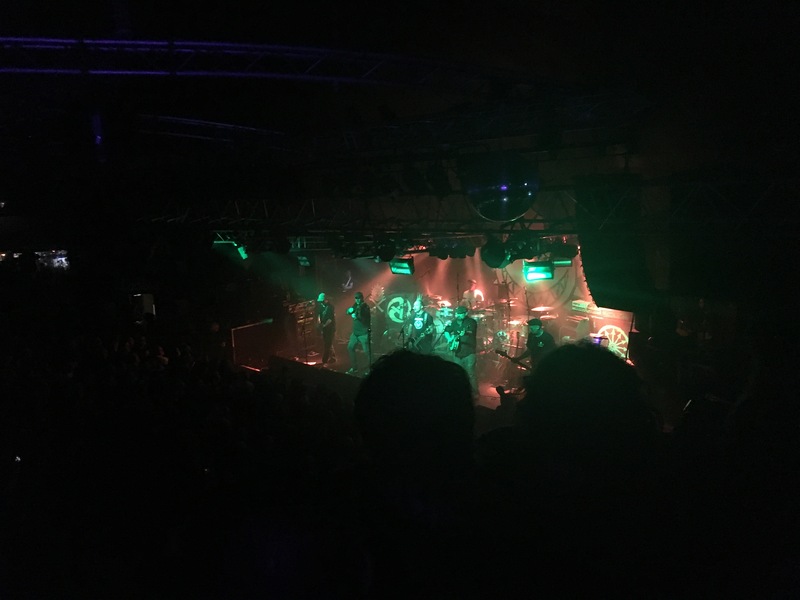 I found a decent spot to grab a couple of photos whilst the intro music boomed out, the band launched into Gallows Justice whilst I got my customary blurry pictures (I might well yet pinch the ones Ella sent me instead!) leaving me to make my way down to the eye of the storm just infront of the centre of the stage. 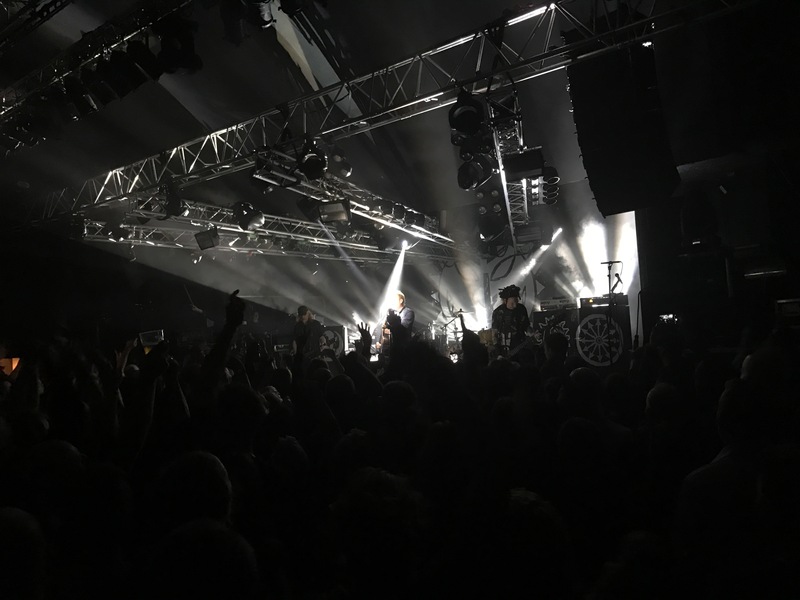 The mosh pit was intense but not as all-consuming as this time last year – which was welcome for me – on stage the pace was immediately slowed for Verse for Lee before being ratcheted up with The Glass and Lee’s Tune getting everyone back into a whirling dervish. Slowed again, Unconditional gave everyone a bit of a breather before Too Late kicked in. No triple stacks this time, although Nicki was still up on Paul’s shoulders as was a companion nearby. As before, the Rock City bouncers had clearly been briefed to leave us to it, which is great! As ever that heralds the bass-thumping intro to Freeborn John. Dean was hoisted horizontal leaving me to clamber up for a spot of surfing, it was only after getting up I remembered it was going to be the extended version with the awesome Bru-C rap in the middle section. It was pretty stable, as ever a few too many well-meaning hands actually make it more difficult to keep balance but with Paul on ‘knee duty’ it might’ve looked wobbly (ha, I’ve seen a video..) but it was actually pretty stable. 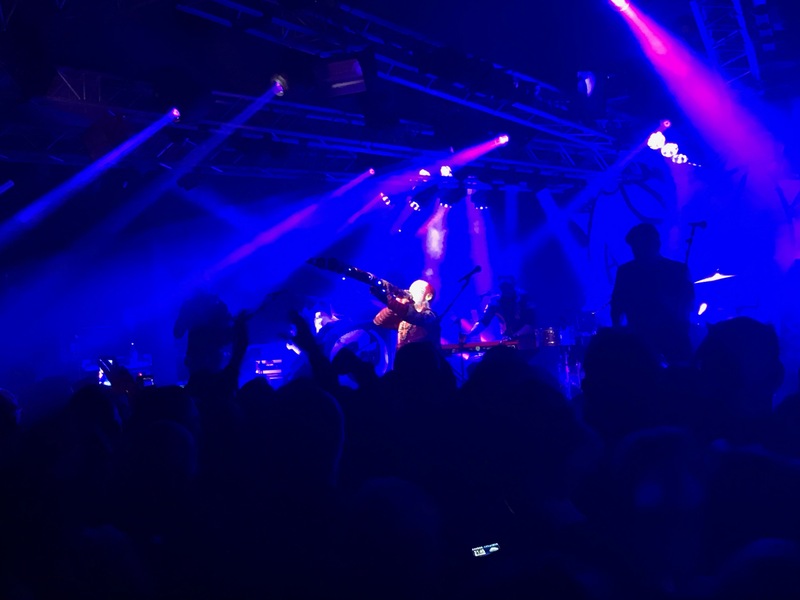 I think that might be my swan song for surfing now, how can you top a sell out Rock City gig? 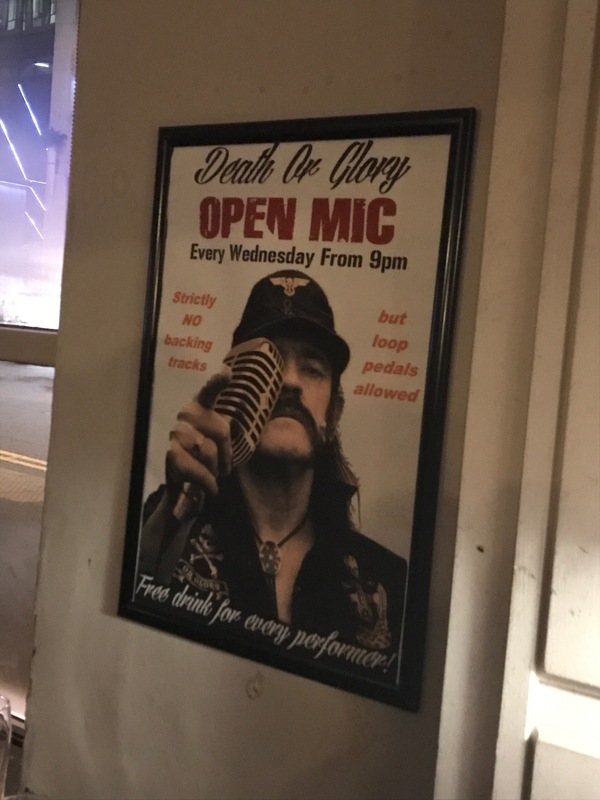 I’m not sure who took this picture somebody sent me but can’t resist a self-indulgent inclusion – thank you, let me know if it’s yours and I’ll credit accordingly! Down and safe the moshpit resumed apace – by which point tiredness was kicking in for me so I started to extricate myself from the melee and at least half-keep my claim of watching from further back. I found Ella (who’d been to get me a water – what a hero! ), Mark and Amanda and watched the rest of the set from a bit further back – Sophie provided an awesome didgeridoo intro for Lyla, then it was as-ever epic rendition of Slow Motion Suicide. It never fails to make the hairs on your arms stand up when Dan kicks into that fiddle solo which seems to have more and more intricacies added to the end! Hell Hounds was dedicated to Jay and also to Curtis Mann, it was looking bloody lively by now down the front – with time ticking on Freethinker saw a circle attempted but I suspect the volume of people made it tough to achieve, and finally Mairi’s Wedding Part II finished up the set to huge applause. Another triumphant homecoming. 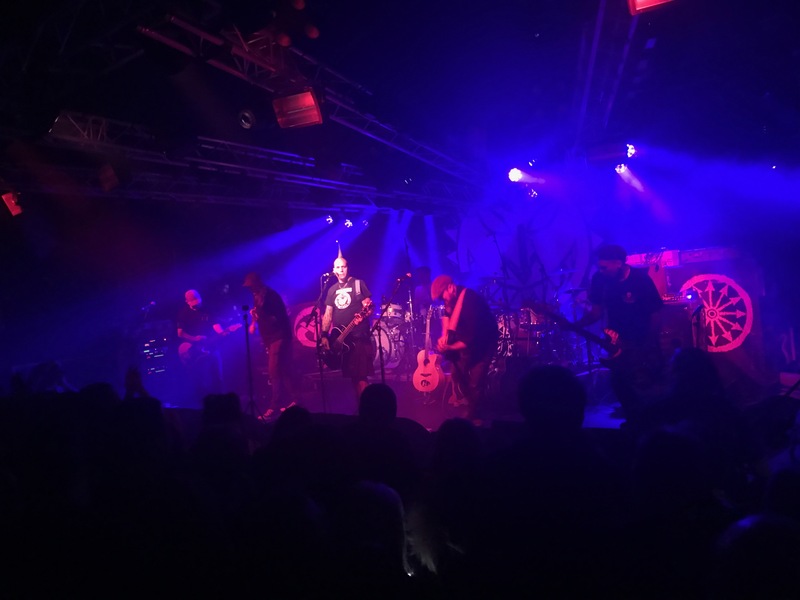 To think at some of those gigs not all that long ago that we’d get to see the lads as a more than credible support to Levellers is pretty incredible if you take a moment to consider it. 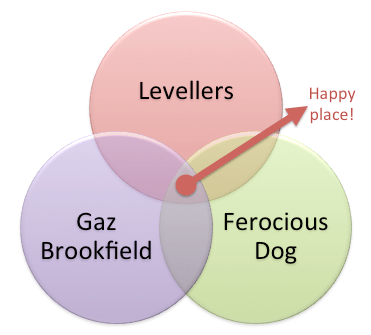 That said, Levellers are absolute masters at what they do. They resurrected an updated version of the intro video they used for the 20th anniversary Levelling the Land tour – appending more recent echoes of political and social events that are eerily reminiscent of the era that spewed forth the album – so as well as Thatcher, Blair et al the likes of Trump and Farage were also firmly in the spotlight with the crowd reacting appropriately. For the glass-half-full kind of people, despotic political climates do tend to produce some bloody good music. 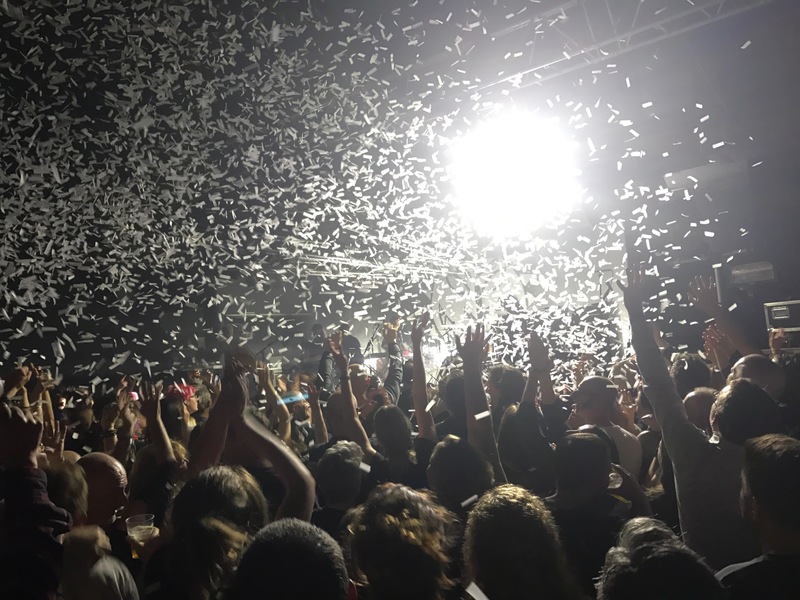 They launched into One Way with confetti cannons blasting into the crowd and wound their way through Levelling The Land in order (I suppose for the real Levellers geeks they might point out it was in re-issue order, but still). The Game slides effortlessly into Fifteen Years with the majority of the crowd bellowing the words along back to them – it was exhilarating even if I’d only been on the Diet Cokes and water! The Boatman saw Charlie get his moment at the front with his portable drum, and then through into Liberty. For me the sound was a bit off on the vocals for this – a bit heavy on the reverb and there was a bit of feeding back but credit to the sound guys they seemed to get it back thereafter. Far From Home then a mass pogo-off for Sell Out led by the band that literally had the floor of Rock City bouncing. The pace slows for the poignant Another Man’s Cause (the song that made me fall for them back on a sixth form Geography trip when I swapped tapes with a mate for my Walkman – I wonder what I inflicted on him? Probably Ugly Kid Joe!). The Road leads through to Riverflow and finally Battle of the Beanfield which had featured heavily in the intro film – Simon’s vocals no less visceral and angry with the years gone by. That of course marks the end of the album – Boaksie was back with his didgeridoo for This Garden before another welcome airing of Men an Tol – tracks from Zeitgeist are too readily overlooked at gigs for my liking… Truth Is was dedicated to the recently passed away Fidel Castro before a mass singalong for Carry Me – the band looked visibly taken aback by the volume of the crowd at that point! The main set finished up with Cholera Well – as it’s Simon’s favourite song Ella streamed it for him on Facebook, and with that over the band made their way off the stage to loud bellows for an encore. They started on their way back with Julie once Matt had a couple of technical wibbles ironed out – such a moving song. Mark took a moment to thank Gaz and Ferocious Dog and of course the crowd before launching into Beautiful Day for another mass singalong and bounce before they all left the stage again. But of course we’d get a second encore – they were back for a raucous rendition of What You Know with Dan invited up on stage for a fiddle duel with Jon. The whole band had huge grins on their faces watching the two violin players doing their thing together, it was a real special moment for me to see a friend getting to do that – I can’t imagine how awesome it must’ve been for him to get to do that, how awesome of Levellers to do it too (pretty sure it’s been a feature of the UK leg of the tour so far). And that was it – to say I felt pretty rough on arrival full of cold and headache – I felt great by the end. Adrenaline is an amazing tonic! 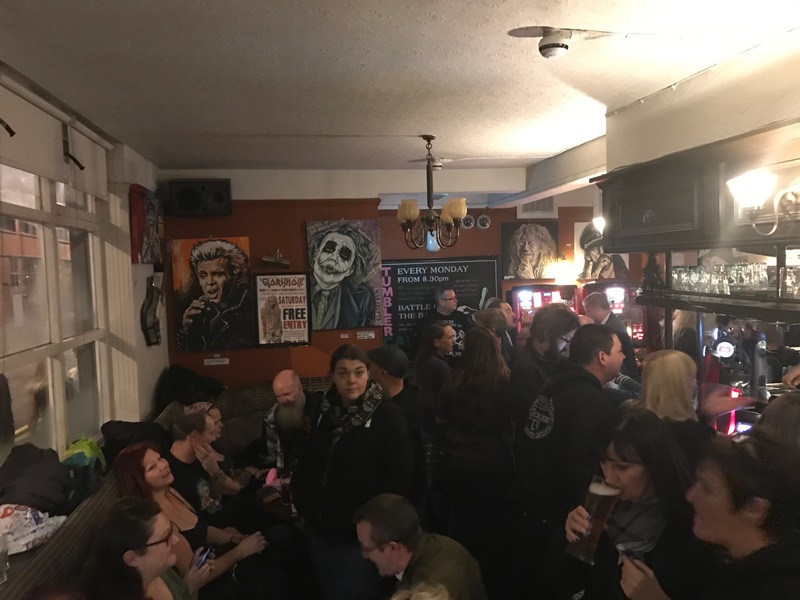 By the time we’d goodbyed our way around the hall we headed out via a quick chat with Gaz manning his merch stall – great to catch up with him – we resisted the urge for post-gig gatherings and opted to head straight back to the car via a cheeky kebab shop. 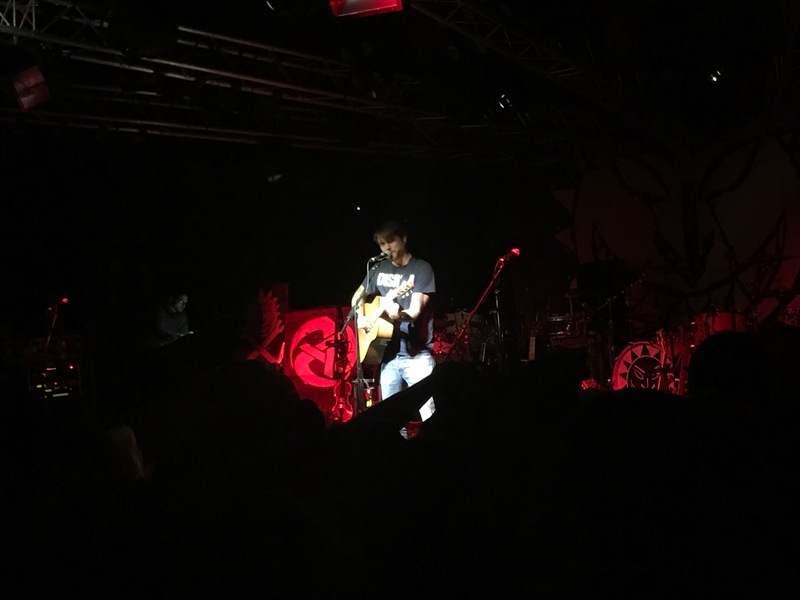 An amazing night – it’s my only planned visit to the UK tour dates although I could be tempted to pop along to another if I can make the logistics work.